The Admire Fall Festival is held on the second Saturday of October each year in Admire, Kansas. It features fun, food and entertainment, including a 18-mile or 47-mile bicycle rides on the Flint Hills Nature Trail. 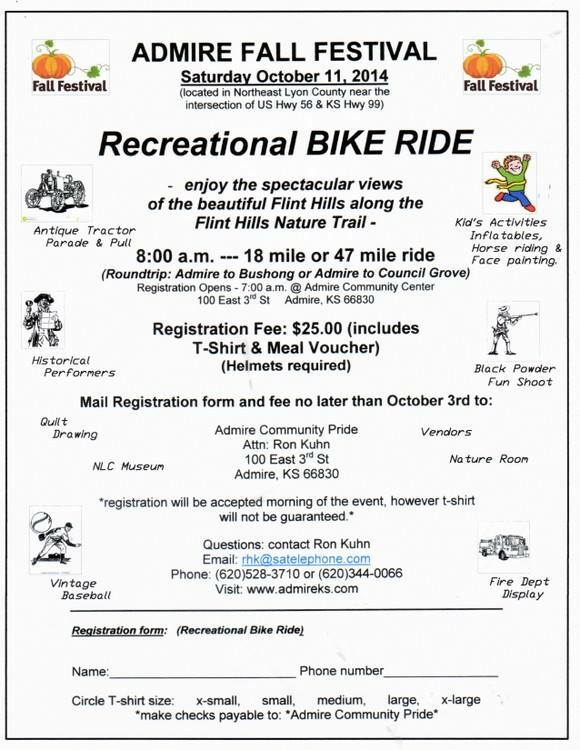 10-11-2014 Admire Fall Festival Bike Ride - 18-mile or 47-mile bicycle rides on the Flint Hills Nature Trail in Admire, Kansas.